It’s already the first day of 2014 and so I feel compelled to speed through my review of 2013. I’m just so ready to move forward and into 2014. So hang onto your seat here it goes. I signed up for a mini triathlon but oops … couldn’t swim. I flailed, barfed and cried but managed to learn in time for the April triathlon. I more than doubled the allotted swim time limit but I completed the race … losing but winning. In addition to the tri, I ran a million races, most of them in June. There were three half marathons, four 10Ks, one five miler, one four miler and seven 5Ks. It was fun. I fainted, lost a toe nail and got beat by a 5 year old. But the best part was the cha ching bling. Check it out. It’s time to get a display rack and rescue those babies from the sock drawer. 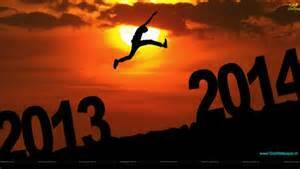 Stay tuned for my 2014 New Year, New Goal. Swim Bike Run Pray Blog at WordPress.com.